One reason I love Pennsylvania is that it’s a great place for a cheap vacation. The Keystone State is a large place with a wide range of parks, landmarks, cultural destinations, and other points of interest. One of the wonderful things about Pennsylvania is that many places there offer free or cheap admission. What’s more? Since nothing is more than a scenic half-day drive away when you’re vacationing in Pennsylvania, you don’t need to buy an expensive plane ticket to get where you want to go. There’s a reason that the Pocono Mountains region is one of the fastest-growing areas in Pennsylvania. 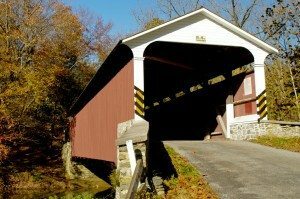 Many people from New York and New Jersey are turning their Pocono vacation homes into permanent residences, and the nearby towns of Stroudsburg and Mount Pocono are becoming important urban centers. What are these people coming for? The outstanding natural vistas, the beautiful parks, scenic getaways, and the sense that the hustle and bustle of big-city life are hours away. 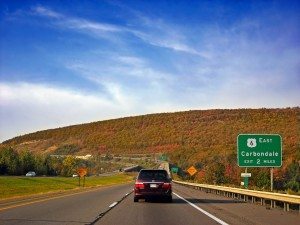 A scenic drive through the Poconos can be a sightseeing trek that costs only the amount of gas you need to get around the stunning hillsides, gorgeous woodlands, and picturesque lakes and ponds. My car gets 30 highway miles per gallon on flat ground, and around 15 to 25 in the mountains, so I can get pretty far on a 15-gallon tank of gas. If a gallon of gas costs about $2, I could easily take a nice long drive through the Poconos for less than $30. If you’re driving into the Pocono Mountain region from many miles away and want to stay in a hotel for the night, there are plenty of cheap motels in the Poconos. If you go to the Poconos during the off season (early November to mid May), not only will you save money on lodging rates, but you’ll also have a little more elbow room since there will be smaller tourist crowds then. New Jersey and Delaware offer Pennsylvanians the nearest Atlantic Ocean beaches — but that doesn’t mean there aren’t some amazing beaches in the landlocked Keystone State. 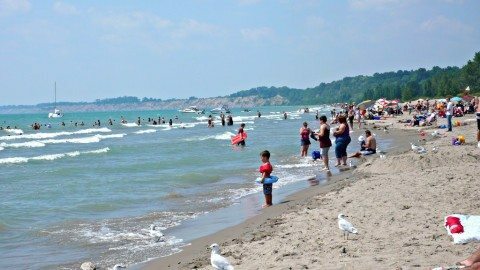 The best thing about these beaches is that they are really cheap to visit and, for many people, they’re less than a 2- or 3-hour drive away. You don’t need to spend a fortune on lodging, either. If you take a beach weekend getaway during the off-season, you’ll save even more money. 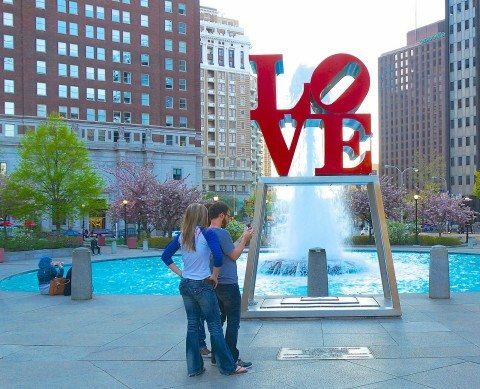 There are so many cheap and free things in Philadelphia, I could easily write an entire article covering just a slice of the things to do in the City of Brotherly Love. 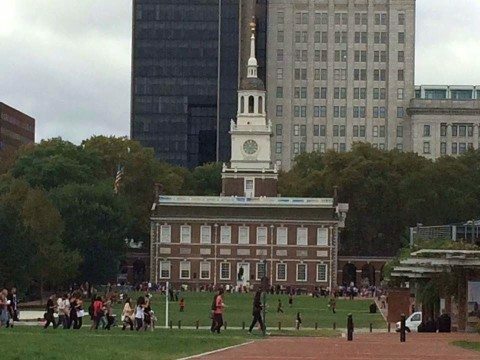 From the history centers and Philly cheesesteak stops to places such as the “Rocky” steps at the Philadelphia Museum of Art and Liberty Bell, there’s no shortage of things to see and do for free or cheap in Philadelphia. One of the best ways to see and do everything in the Philadelphia area for a low price is to buy the CityPASS. The Philadelphia CityPass provides discount admission to a grouping of selected attractions for 1 single price. The catch is that you must use the admission tickets within a certain timeframe. But you can save as much as 50% off the price of individual admission tickets. I really can’t think of a cheaper way to see these places. If the hustle and bustle of Philly is too much, take a trip back in time to the way life was in Pennsylvania centuries ago. In parts of Lancaster County, yesteryear is today — as the thriving Amish people continue life off the grid and in touch with tradition. While the Amish way of life may seem like a quaint novelty to you and me, for the people who till the soil, take horse-drawn carriages to and from the market, and read books at night by the light of kerosene lamps, it’s just another day in life. In fact, the Pennsylvania Amish community is the oldest Amish settlement in the United States. 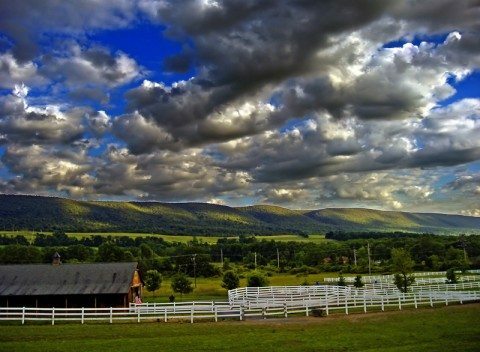 Pennsylvania Dutch Country is a great place to spend your time without having to spend a lot of money. From horse-and-buggy rides to shopping for handmade Amish handcrafts, stepping back in time in Pennsylvania Dutch Country and surrounding Lancaster doesn’t mean having to spend an arm and a leg. Don’t forget to check out a few of the favorite Pennsylvania Dutch epicurean delights while you’re in the Lancaster area — including apple cider, whoopie pies, shoofly pie, and chicken potpie, just to name a few. There are many, many great roadside farm stands and restaurants to tantalize the taste buds, which you can see if you take a nice, long country drive through Amish Country — something that costs only gas money. If you’re staying in the Lancaster area, there are many great Amish bed and breakfasts. Though these aren’t necessarily all that cheap, they’re worth the price for the experience. My personal recommendation is to check out local inns and hotels during the off-season (again, November through May) for the lowest rates. 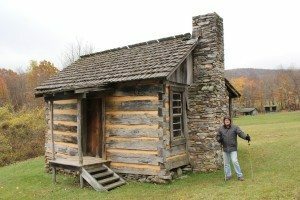 Getting in touch with nature is something I love to do, and the Pennsylvania State Park system allows you to do that without breaking the bank. There are 120 state parks in Pennsylvania — which cover a collective 283,000 acres. 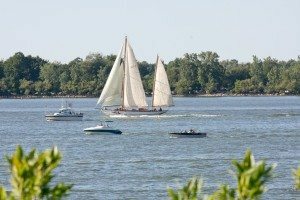 These state parks are located throughout Pennsylvania and they’re relatively easy to get to no matter where you are in the Keystone State. 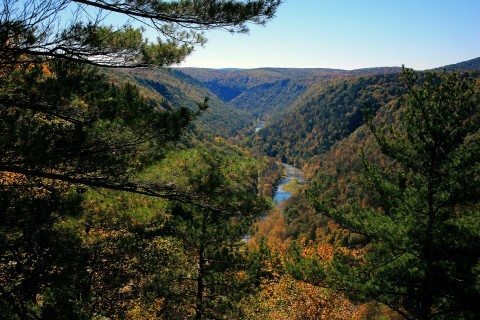 Admission for all Pennsylvania state parks is FREE! An added perk about visiting a Pennsylvania state park is that many of them offer camping, cabins, and trailer hookups — which means you can stay the night right at the park. Of course, there’s a fee for staying at a Pennsylvania state park overnight, but it usually beats the cost of staying at a hotel. In fact, the current resident price for a rustic cabin is as low as $20 per night. Try finding a motel room for $20 a night! That makes any Pennsylvania state park a great staycation destination — especially if you enjoy roughing it a bit.